The serene Berijam lake of Kodaikanal is of nature's unhindered beauty in the midst of a forest conservation area. It is surrounded by acacia and pine trees which are so pristine that it has a haunting quality. The serene surroundings of the lake make it the perfect place for birdwatching, gentle photography and quiet reflection. Sprawled over a vast area of 59 acres, the calm waters of the Berijam Lake is so pure that it serves as the main source of potable water for Periyakulam - a small town in the valley that lies below Kodaikanal. The lake also facilitates the habitat of many animals such as Bison, Indian Elephant, Nilgiri Langur and Deer, and if you're lucky you will also be able to catch a glimpse of these majestic creatures. A natural water lake situated just at the distance of 23 km from Kodai Bus Stand, Berijam Lake is an eminent tourist hotspot of Kodaikanal. It is a refreshing and scenic eye treat for nature lovers and for those seeking to unwind amidst the woods and serenity of nature. Boating and Fishing are the popular activities to do here and with the stunning landscape surrounding the location, you can also just relax down and ponder upon the blessed beauty of this lake! Entry permits will be needed to acquire from the forest department here. No snacks or drinks are allowed to be taken. Cameras are also allowed to click tons of photographs of the wonderful Berijam Lake. Boating has been prohibited to conserve freshwater. Watch out for the monkeys here. If you are driving by car, only 20 cars are allowed to enter. You can hire a jeep to explore the wildlife and then arrive at the lake to soak in the splendor of this place. Fishing is also an amazing activity to try here along with birdwatching. Guides will be available at the forest department or you can opt for a tour all around the lake. October to May is the season of visiting Berijam Lake as it is opened for tourists to visit and when the climate is also amazing to enjoy yourself at the lake and tour Kodaikanal. Situated in the Palani Hills Forest Conservation Land, the best way to reach Berijam Lake is through road. The closest railway station is Kodaikanal Road Railway Station at the distance of 10 km from the lake and taxis are catered there to arrive at the lake. Berijam Lake is naturally a reservoir and is located at the ancient place where once Fort Hamilton was built in Palani Hills. 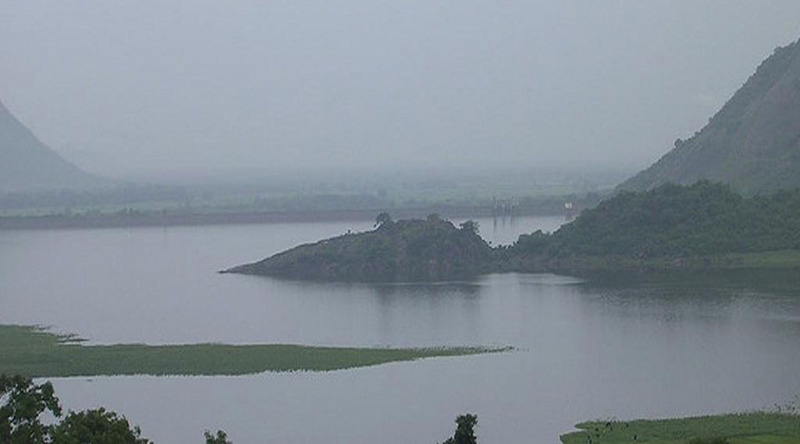 It is formed by a dam with sluice vents and is under the micro watershed project. Colonel Hamilton provided a report in 1864 showing that this Berijam Lake environment is a perfect place to build a military cantonment or Sanatorium. Afterwards, an army settlement was constructed named Fort Hamilton after Colonel Hamilton. Then the lake was artificially made in 1867 and the Collector of Madurai bequeathed a part of his own personal retirement money for constructing the dam. Later, there were some changes made to this place including the expansion of the dam and reservoir and making of a pipeline to provide safe water for drinking to Periyakulam town. It is an immaculate lake located within the forest conservation are and is engulfed in acacia and pine trees and is the source of water for the nearest Periyakulam town. It is a pristine area and is not filled many tourists that’s why it’s a favorite for many travelers searching serenity and solitude. Flora and Fauna is abundant here and you will also find a medicinal plants demonstration garden. Journey for arriving here is quite a tiring one but once you are here, the natural aura will take over and you will see how refreshing the location is! Hence, Berijam Lake is an idyllic escape into nature spending quality moments with those you love and just unwinding amidst the healing characteristic that nature has to make us feel wonderfully refreshed. So, you can plan a day trip or a weekend getaway and amaze yourself with the beauty of this place and it can work wonders for your stresses and anxieties! Make sure that you take adequate measures and contact the forest department at this place before visiting the lake! Bon Voyage!